For many women, Mother’s Day is a time of celebration. Either they’re the recipients of gifts, cards, phone calls, and dinner out, or they’re doing the one of those things for their own mother. But for many women, Mother’s Day is one of sadness. These are the women to whom motherhood was denied: The women who wanted to be mothers but couldn’t. My parents owned the local flower shop all the years I was growing up. That meant that every holiday we were busy making and delivering flower arrangements and plants. Two holidays though were the busiest time for florists: Valentine’s Day and Mother’s Day. My mother and the ladies who worked with her would work and talk. My job was usually to be close by so that I could get whatever supplies they needed. My job was also to do what good daughters were raised to do at the time: be respectfully quiet and not interrupt the grownup talk. This was sometimes hard for me because I loved talking with the grownups. Their stories and conversations were so interesting. But I also learned early on that remaining quiet was the best way to be allowed to remain in the vicinity when the conversation turned to more personal matters. I learned a lot by keeping my mouth shut and my ears open. One Mother’s Day I heard a story that has stuck with me all these years. Irma (not her real name BTW) and her husband worked for my parents for many years. They became a second set of grandparents to my brother and me. I never really thought anything about the fact that these wonderful people didn’t have children of their own. It was just their situation and I never questioned it or gave it much thought. However, as they were working on flower arrangements and corsages, the discussion turned to the church service that would take place on Sunday. It was customary at our church for the preacher to recognize several mothers in attendance and present them with corsages. There was a corsage for the oldest mother present, the youngest mother present, and the mother with the most children attending the service with her. Irma made the comment to my mom that she made it a point not to attend church on Mother’s Day. This took my mom by surprise because Irma and her husband were always in attendance. Irma’s husband was a deacon and Irma was active with all of the women’s programs. They didn’t skip church unless there was illness involved. So of course, my mom asked Irma why she avoided church on Mothers Day. Irma recounted how she and her husband had longed for children for years. They’d hoped and prayed that they’d eventually be blessed with a child, but it never happened. She said that they’d finally come to accept that they would never be parents and have children of their own, but how difficult it had been to face that truth. I remember my mother asking Irma why they’d never adopted any children. Irma talked about how times had been different when they were younger and that adoption simply wasn’t as common then. She went on to talk about how painful it was to attend church on Mother’s Day and watch the corsages being handed out like prizes. Apparently, she finally made the decision to skip church services on Mother’s Day rather than to dredge up the sadness she’d experienced for so many years. She said that she figured God would understand. This incident stuck with me for a couple of reasons. First, Irma was a woman who was always smiling. Her husband was a big joker who loved to tease and make people laugh. To the outside world, they looked like they were always happy. However, as with all situation, things aren’t always what they seem on the surface. Granted, I was self-absorbed teenager when I heard the story (as all teenagers are), but even my mother was surprised to learn that there was a sadness below the exterior of the woman who always smiled, laughed, and played Grandma to me and my brother. But the second reason that I’m telling this story is because there are so many women just like Irma. Talk about a spear to the heart. None of us should ever ask such intrusive questions! As Irma’s story illustrates, we never know what is going on with people below the surface. Just because someone is smiling and keeping their dreams and disappointments to themselves doesn’t mean that they aren’t deeply felt. Our questions and comments do nothing to help the situation, and in fact, only add to the frustration and misery someone may be feeling. With Mother’s Day right around the corner, I just wanted to put a gentle reminder out there to be kind. Don’t ask questions just because you’re curious. Don’t speculate, judge, or offer advice. Don’t tell her that if she’ll just relax she’ll eventually get pregnant. Don’t suggest she and her hubby take a vacation. Don’t tell her you know how she feels when you are a mother yourself. Don’t tell her to “get over it”. Don’t discuss her situation with other people. Allow her to express her feelings. The world is full of women who wanted to be mothers but couldn’t, or who are struggling right now with infertility. A little understanding when they prefer not to attend a baby shower, work in the nursery, or avoid any other situation which makes them uncomfortable is a small gift we can give. Most of us know someone who is, or has been, in this situation. They’re our sisters, daughters, aunts, cousins, friends, “second-mothers”, and surrogate grandmothers. And for them – Mother’s Day is frequently the most difficult day of the year. And to the women who have “mothered” me throughout my life, I’d like to say a big thank you and let them know that I love them. They may not have given birth to me, but each of these women has had a hand in making me the person I am today. Perhaps there’s a woman who has mothered you along your way. Previous Post: « Mexican Manicotti: So Easy You Won’t Believe it! Shelly what a thoughtful post. 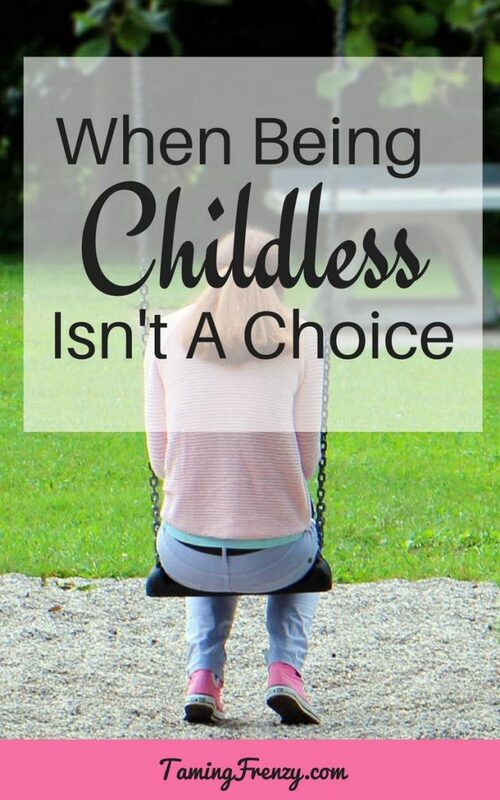 There are women who cannot have children or through circumstances of life have not become mothers. I know of one wonderful lady who did not marry and so did not become a mother. However, she was aunt and mother to all of her neices and nephews. She is a true unsung heroine. I have a great-aunt who was widowed during WW2 and she also never had any children. She also mothered many nieces and nephews – and still does even to this day! A beautiful post Shelley and yes we do forget or assume where motherhood is concerned. Thanks so much for sharing this beautiful story with us at #overthemoon link party. Thank you, Sue. This issue is close to my heart. I am so sorry to hear about your situation! I cannot imagine the heartbreak that caused but I’m gad that you finally have your precious baby to love. I hope the article will remind all of us to be more considerate and to think about the impact our words and actions have on others. Hugs to your whole family!